TUSCALOOSA, Ala. – Anna Claire Toxey, a native of Tuscaloosa, Ala., has received a grant from the Curtis and Edith Munson Foundation to work with Black Warrior Riverkeeper, a nonprofit clean water advocacy organization. A senior at The University of Alabama, Toxey will work as a public relations intern throughout the group’s service area, the 17-county Black Warrior River watershed. The Curtis and Edith Munson Foundation provides funds to programs that focus on the conservation of natural resources in North America and the Caribbean Basin, with an emphasis on North America. The foundation’s internship grant to The University of Alabama’s Department of Advertising and Public Relations is the highest award presented to a student in the College of Communication and Information Sciences. As a member of Waterkeeper Alliance, Black Warrior Riverkeeper identifies pollution problems and works to fix them while increasing public awareness. The organization also engages partner groups and individuals in its efforts. Last year, 520 volunteers donated 6,983 hours of community service through Black Warrior Riverkeeper’s projects. The majority of those volunteers were students from The University of Alabama. 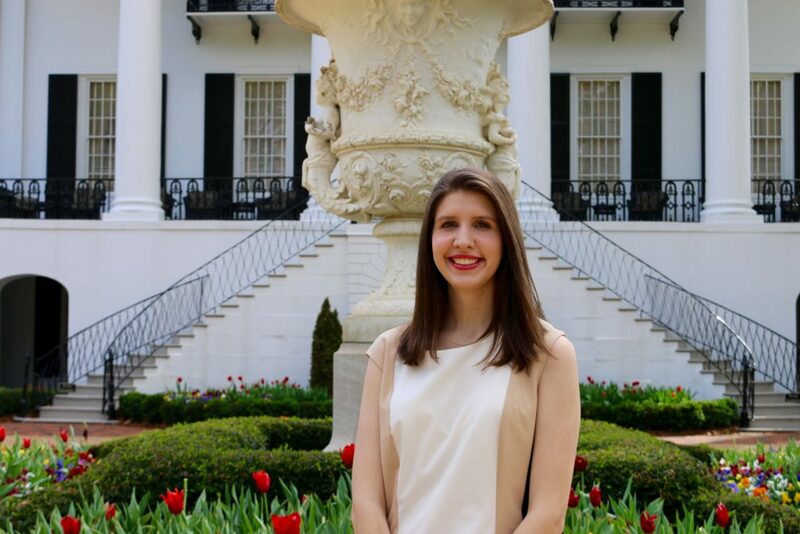 For Allie Binford’s high resolution photo of Anna Claire Toxey at the President’s Mansion, click here. Black Warrior Riverkeeper intern Anna Claire Toxey at the President’s Mansion. Photo by Allie Binford.